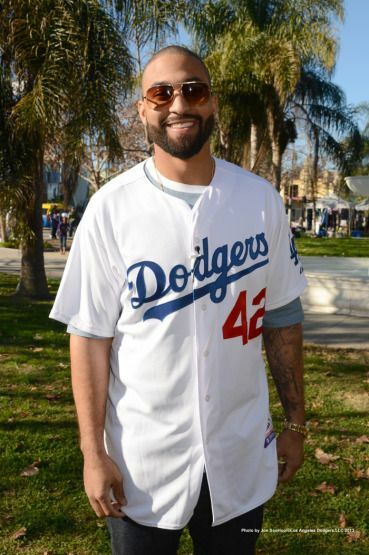 Bison served as the Grand Marshal for the Kingdom Day Parade in Los Angeles yesterday, and represent, he did. How about Judy! She looks pretty proud here. I love hearing young players acknowledge the part baseball, and breaking the color barrier, played in the civil rights movement. Even having that living link like Don Newcombe still with us is special--a witness to history. Here's a short video clip from dodgers.com. I remember you posting about Don Newcombe before involving the civil rights movement, probably last year at this time - it is always worth reading more about. I did like seeing Judy here after seeing her only in the stadium environment when she was at Petco! Lol. I imagine for your fans she is kind of like a mascot of sorts! Here is one of the mascot with her son followed by one of the Grand Marshal himself. Notice he's rocking Jackie's number. Yes, I did, and it was along the lines of what is said in this article posted on MLB.com today. (MLK) would later tell (Jackie) Robinson and other black baseball pioneers -- Larry Doby, Don Newcombe, Roy Campanella, Monte Irvin, others -- how much he admired them for their courage and for how they'd changed the country and helped clear a path for all who would follow. A few weeks before King was killed in 1968, he told Newcombe, "You'll never know how easy you and Jackie and Doby and Campy made it for me to do my job by what you did on the baseball field." 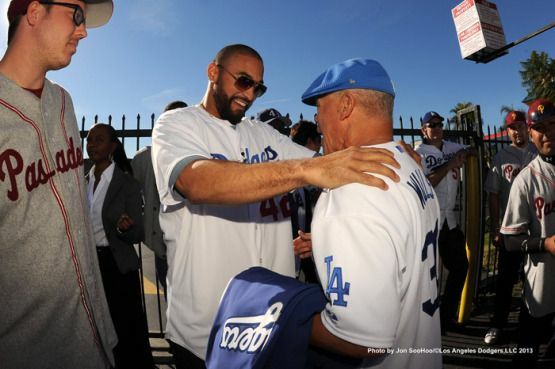 Newcombe remembered those comments during a 2009 interview with the New York Post's Peter Vecsey. "Imagine, here is Martin getting beaten with billy clubs, bitten by dogs and thrown in jail, and he says we made his job easier," Newcombe told Vecsey. And so on this day in which we honor King and pause to remember the men and women who suffered and sacrificed in the name of racial fairness, Major League Baseball should be proud of its role in forcing people to see the world in a way they'd never seen it before. I'll give this one a bump from last year. On Dr. Martin Luther King Jr.'s birthday (observed), Richard Justice's article on MLB.com notes the connection of the integration of MLB with the civil rights movement--"lives forever intertwined." A tribute to Dr. King on MLB.com again noted the way baseball pioneers helped pave the way for his work in the civil rights movement. Sometimes you have to wonder if things are moving backward. Hope you enjoyed a happy MLK Day. 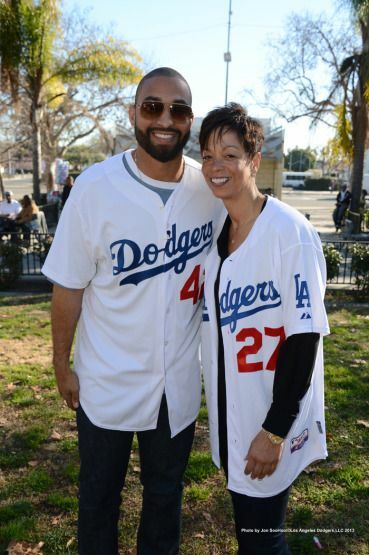 and more specifically related to modern-day baseball, a recap of Major League Baseball's community initiatives that reflect Dr. King's dream. I am very glad MLB has been responsive and reaching out to the community. Another day to honor Dr. Martin Luther King Jr. and the civil rights icons of baseball. And one more annual observation of Dr. Martin Luther King Jr.'s birthday. I have always admired how the black pioneers of Major League Baseball paved the way for him. 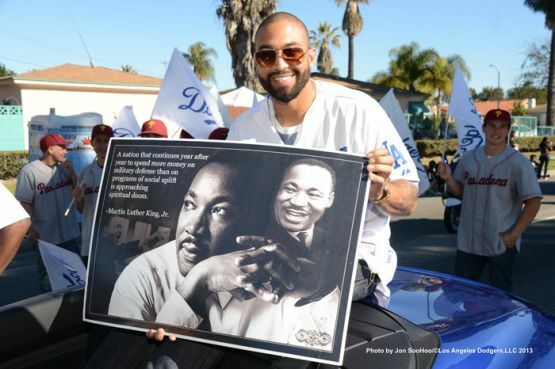 Today, it was Doc, the first black manager for the Dodgers, leading the way in the MLK Parade in L.A.